Buhari Transfered to Kings Hospital UK on life support Machine, amidst uncertainty. Nigerian President, General Muhammadu Buhari who is battling with an undisclosed illness has been transfered to Kings Hospital in the United Kingdom on a life support machine. The Issues surrounding his health became open to the public when the news broke that he was dead on www.metro-uk.com website, ever since then, Nigerians have been asking questions to know the whereabout and the state of Mr. Buhari's health. The Presidential aides has not even helped the matters, with the controversial picture of the President released online, which raised a lot of concerns and cast doubt in the minds of the Nigerian populace, suggesting that all might not be well with the Nigerian Leader. To conceal the true situation to the public, the Presidency also planned to release an audio message of Mr Buhari instead of Video Chat via Skype, facetime or other video technology that can enable the leader reach out to Nigerians to dispel whatever rumor which may make the situation looks like the Yar-Adua era in 2010. 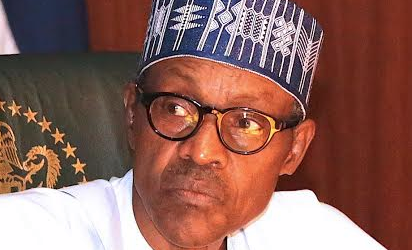 Nigerians have been putting more pressure on the Presidency, and the ruling All Progressive Congress leaders because they want to to know exactly what is happening to the man they voted for en mass as their President in 2015 but the way and manner the issue is being treated suggests that something terrible might going on with the President. Few days ago, a report filtered on Social Media that the Northern Governors and its eminent personalities were having a secret meeting, this also raised the doubt the people has about the state of Mr. Buhari's health. In a simple enquiry made by WAILERSNG, a Nigerian who works in kings hospital who rather wants to remain unnamed said that he will say categorically that he had heard Buhari screamed loudly. He went further to say that the stage of Buhari's transplant at the Hospital might not be possible again because Buhari organs maybe shutting down and his body might not be able to sustain or even absorbs any transplant due to old age. As we speak, he his on a life support meaning that his in a vegetative state. Due to his incapacitation, people close to the President has been briefed by the UK Doctor, that Mr. Buhari should resign immediately to avoid leaving a vacuum which is capable of causing another political tension in the country. This advise may have been the reason Northern Leaders summon an emergency meeting. For those in doubt of what is currently going on, the 10 days vacation is coming to an end soon, we will see if an additional days will be requested for Mr. Buhari or he will return to the country to clear the air.